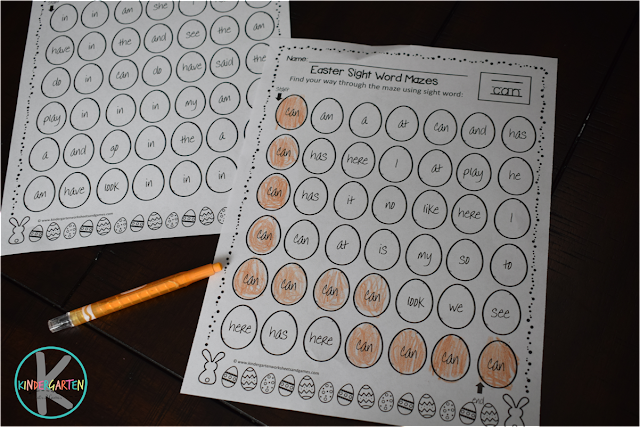 My kids love doing these free printable Easter Sight Word Mazes! They get to create beautiful Easter eggs. I love that they are NO PREP and it helps them achieve fluency with kindergarten sight words. First, print these black and white worksheets. There are 33 worksheets; one to practice each 33 Kindergarten Sight Words. Next, set out the sight word worksheet you want your student to practice with some crayons, markers, or colored pencils. 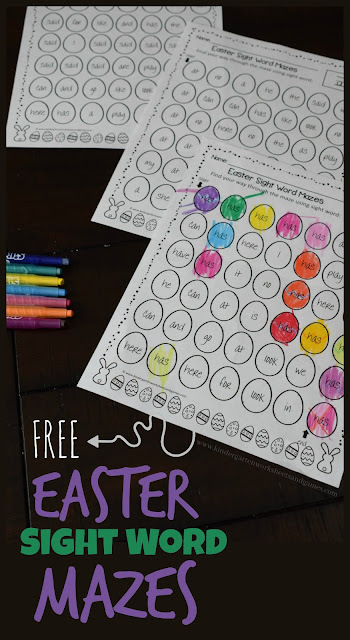 This is great for extra practice, Easter literacy centers, homework, and more. Kids will read the sight word at the top of the page. Then students will find an egg with the same sight word. They will say the kindergarten sight word out loud (or quietly if you are in a classroom setting) and color the egg. 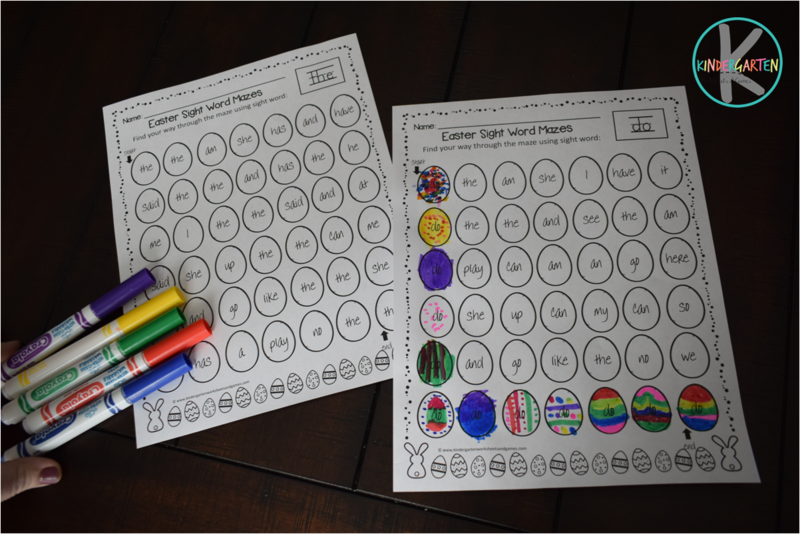 Kids will continue finding, saying, and coloring Easter eggs as they work their way through the sight word maze. Kids can color them as simply or colorfully as they like!